Original Viacom International licensed vintage heat transfer iron-on print on a new and unused t-shirt. 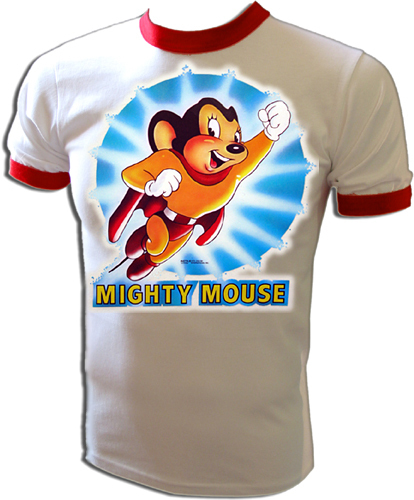 Extremely rare, vintage CBS Filmation release of the 1979 Mighty Mouse Cartoon Iron-On T-Shirt! NO OTHER CLOTHING COMPANY HAS THESE ORIGINAL PRINTS! This is one of the coolest vintage t-shirts around! 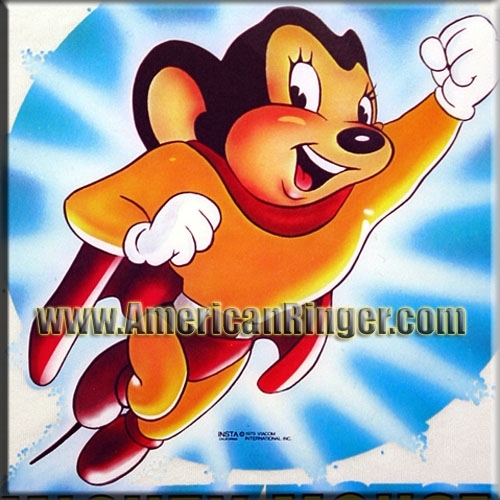 AmericanRinger.com acquired these and NOBODY ELSE HAS THEM! This is the real deal vintage stuff only available from American Ringer.